Nielsen has just released the results of a Media Pulse study that examines women and multicultural consumers’ mobile media behaviors – how they’re using technology and how it compares to the country at large. Women spend 6% more time using apps and the web on tablets and more time using handheld platforms for app/web usage than their male counterparts. They are also more likely to utilize mobile devices for social networking than users overall. Because of their mobile usage, they also tend to place more importance on the features and performance of their handheld devices than men. Women spend 16% more time with video-focused apps/websites and 17% more time with streaming audio on tablets than all tablet users. In contrast, adult men spend far less time using tablets than the same overall base. Black, Hispanic and Asian American adults each spend more time per day using apps/the web on their smartphones than the general U.S. population. 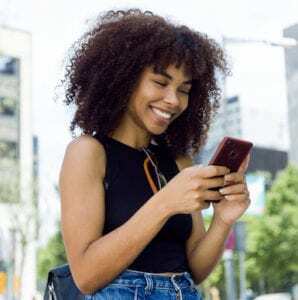 African Americans in particular are heavier users of smartphones and spend nearly half an hour more per day using them than the total U.S. (and more than any other group). The three measured groups have comparable tablet usage and app/web tablet behaviors with all three involved in over half an hour of usage per day. Well known for their early adoption of newer tech, Asian Americans represent a growing consumer bloc with their own unique audience behaviors. They spend at least 45 minutes per day using a tablet, outpacing all other groups as well as the total U.S.
As the U.S. increasing becomes more diverse and multi-cultural, advertisers and programmers need to keep on top of the emerging trends with these groups. While women drive content consumption on smartphones and tablets, Black, Hispanic and Asian Americans spend more time per day using apps/the web on their smartphones than the general U.S. population. Understanding the unique user preferences is important to connecting with these audiences.